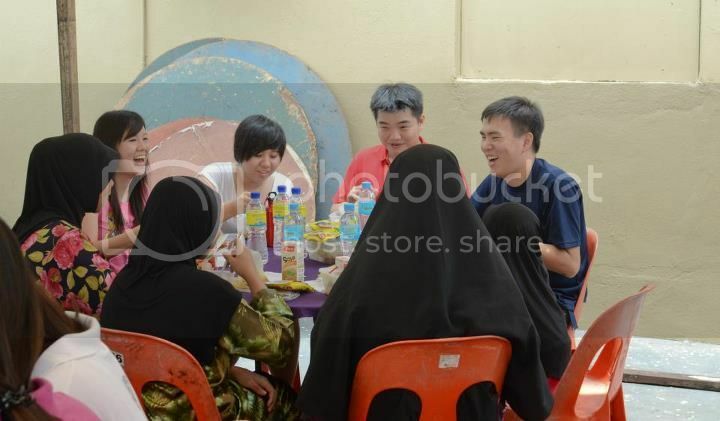 In line with Ti-Ratana Meals on Wheels' spirit in giving regardless of race and religion, more than 20 volunteers turned up at TRCC Penchala on the morning of last Sunday, 26 August 2012 before heading off to Asrama Baitul Ummah to celebrate Hari Raya Aidilfitri with the young residents. 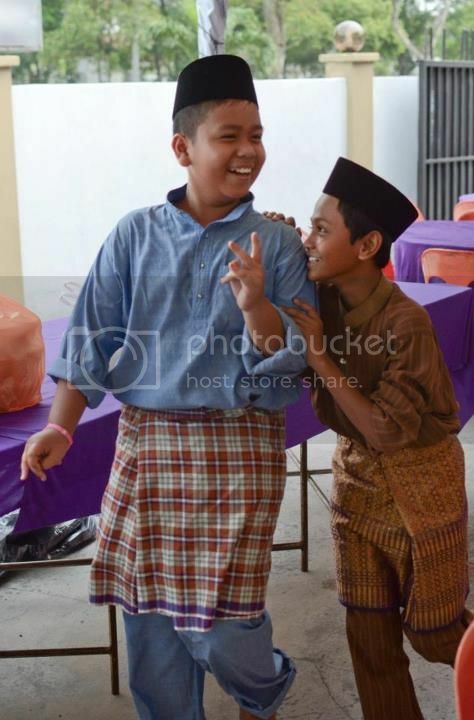 …and all ready to “salam” with the “abang” and “kakak” from Meals on Wheels. 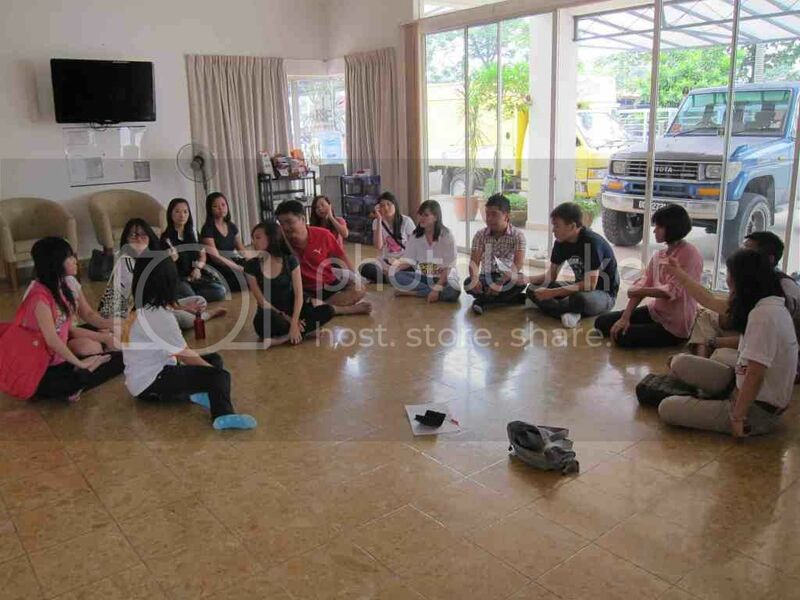 After the meet-and-greet session, it was FUN time, whereby the younger MoW volunteers played games with the children, led by Swea Ching and Abang Scott. The children had lots of fun and were enthusiastically trying to outdo each other as there were prizes for the winners. 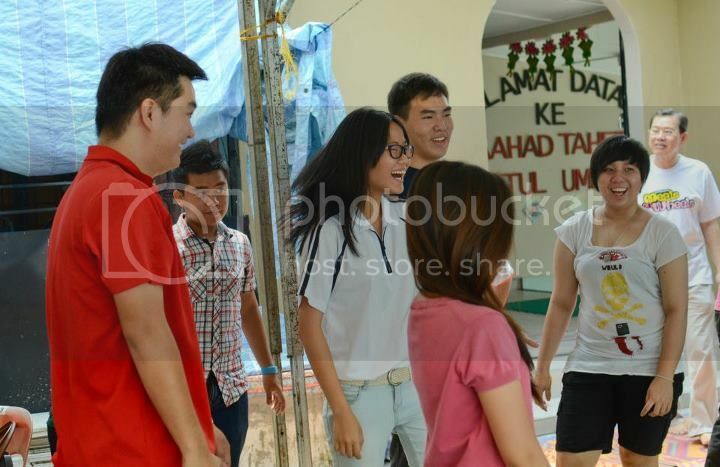 The volunteers were also tickled by the antics of the children while playing the games. While the children and the younger volunteers were enjoying the games, the other volunteers were setting the table for lunch. Then it was “makan” time. There were ketupat, lontong, chicken rendang, cake, snack and drinks. The volunteers joined the children at the tables, eating, chatting and getting to know the children. 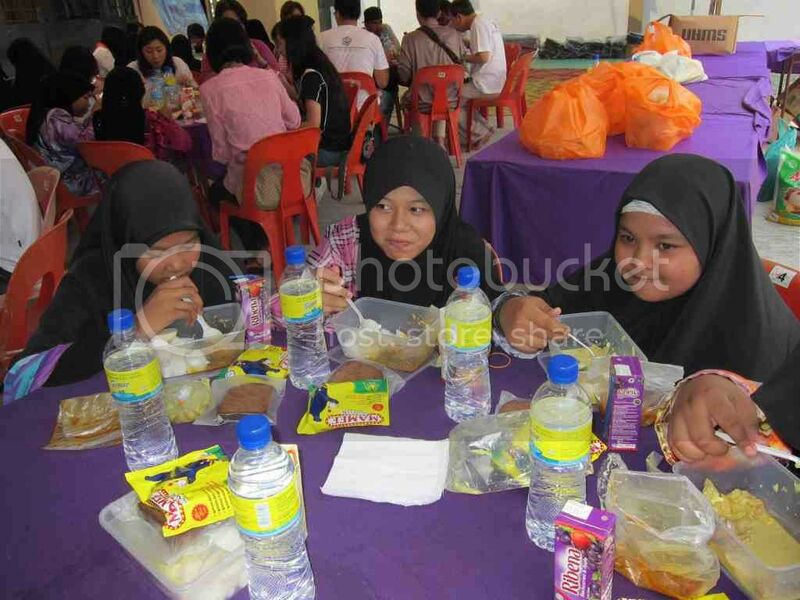 The children were happily tucking into their lunch and enjoying the typical Raya dishes. No MoW event will be complete without gifts. The children were each presented with a school bag complete with stationery items and exercise books. 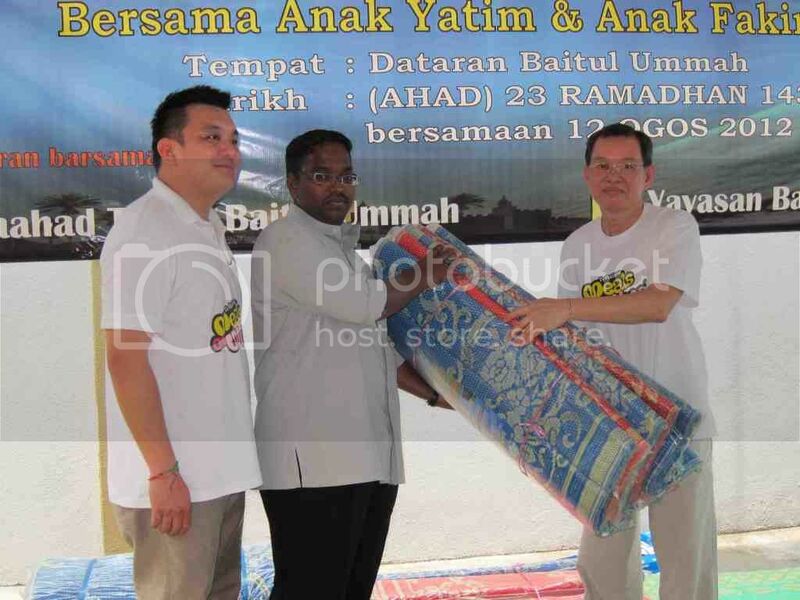 We also presented prayer mats to Ustaz Rahman who runs the orphanage. Last but not least, a group photograph to commemorate the event. Before we bid farewell to our young friends from Asrama Baitul Ummah. It was a great way to spend a Sunday morning, trying to bring some cheer to the less fortunate. And this would not have been possible without the generous contributions from our kind donors as well as time and effort from the volunteers, TRCC Penchala staff and MoW committee members. The more you give, the more you receive! Having only began its first project last month, the Meals on Wheels' (MoW) Food Bank programme is already churning public support. Out of the blue, MoW's Catherine Lai received a good news from the Subang Jaya Buddhist Association (SJBA) that it has 80 bags of rice to be distributed to to the less fortunate. Within six days, the MoW team put together a distribution plan, hired a driver for half day, and made its way to the needy. 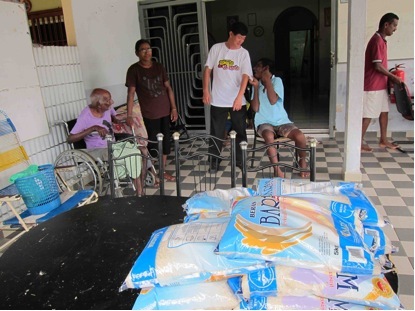 On Thursday, 16 August 2012, the team comprising Catherine, Kim and Jackson (the driver) collected and distributed the rice. The first stop was Pusat Warga Tua Devi in Kapar, which houses 10 aged folks - most of whom are elderly or sickly/disabled. The home was established by a husband and wife team in early 2011. An orphan himself, the husband, Puganeswaran, knows exactly how it feels to be abandoned; he started this home to help the less fortunate. However, he has not been very successful in raising funds and has difficulty in providing basic necessities for the residents. Next stop was Pusat Pertubuhan Kebajikan Sittara or Shanti Home, named after the kind lady who runs the home with her husband. Shanti cares for about 13 old folks and two handicapped children. Kartik is paraplegic and couldn't sit up when he was sent to Shanti’s Home around three years ago. He was abandoned by his parents, “stateless” (no birth certificate or identification papers), and taken care by his aunt who was “pimping” him (i.e. using him to get sympathy and donations but not taking care of him). 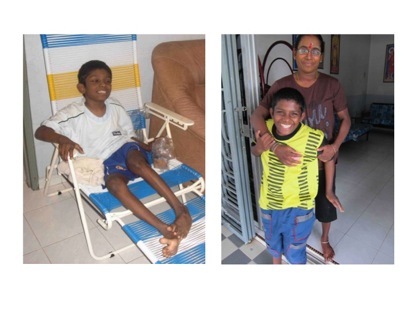 Under Shanti’s care, he is happier and has shown improvements in some movements in his limbs. He can even walk when supported by someone. Shanti works to supplement the little donations she receives to run the home. 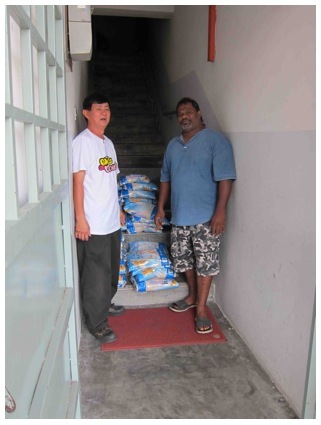 Another 30 bags of rice were handed over to Pastor Mageson who is helping poor families in Kapar. Pastor has distributed the rice on 19 Aug 2012 at his church. 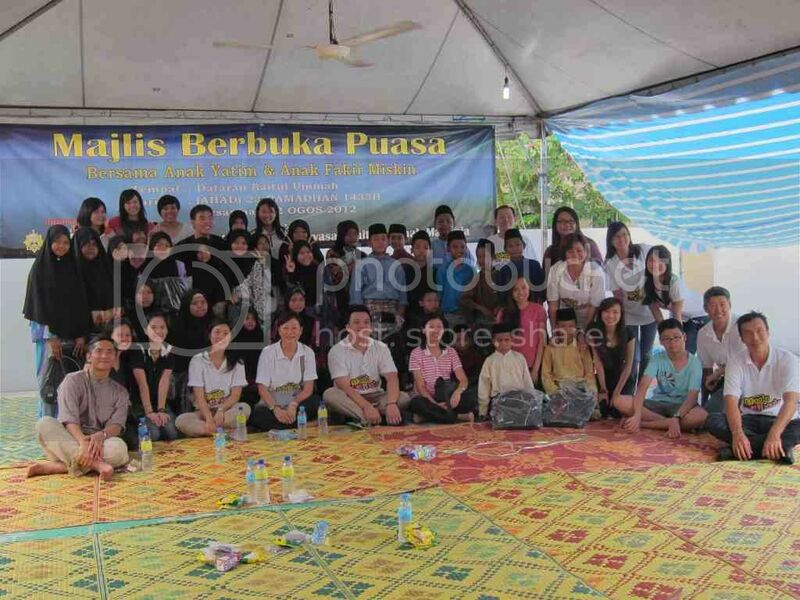 From Kapar, it was almost an hour’s drive to our next stop, Pusat Kebajikan Sri Agathiar in Sepang. This centre provides monthly groceries to 78 poor families in various parts of Selangor and Klang Valley, as well as cooked food to 450 students in SJKT Salak Tinggi every Friday. The school receives breakfast aid from the government through the RMT program, but only for six months in a year. Sri Agathiar centre would like to provide food to the school children more than once a week but they have limited fundings. 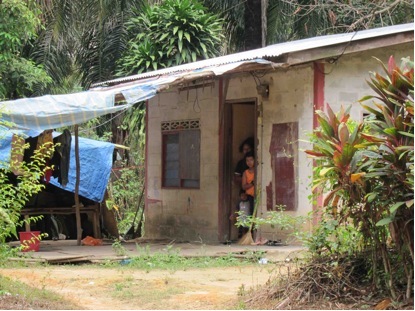 This centre also helps 30 orang asli families in their neighbourhood. Additionally, the Association also provides monthly food rations to about 200 poor families. It also gives financial and educational aids wherever necessary. Help is given to anyone in need regardless of race or religion. To support the initiatives, the volunteers approach the general public for monetary and material help. 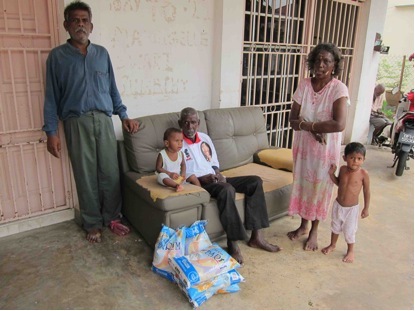 Materials are in the form of food items that are distributed to these unfortunate families. After five hours since we started our journey from Ti-Ratana Community Centre in Penchala, we finally returned at 2pm… all three of us hungry and tired. But it was a morning well spent, the rice bags we gave to the less fortunate means that they will at least have rice to eat for the next few weeks. Our heartfelt and utmost appreciation to Subang Jaya Buddhist Association for their generous contributions. Join us as Meals on Wheels makes its stop and celebrates Hari Raya Puasa with our Muslim sisters and brothers at Asrama Baitul Ummah. 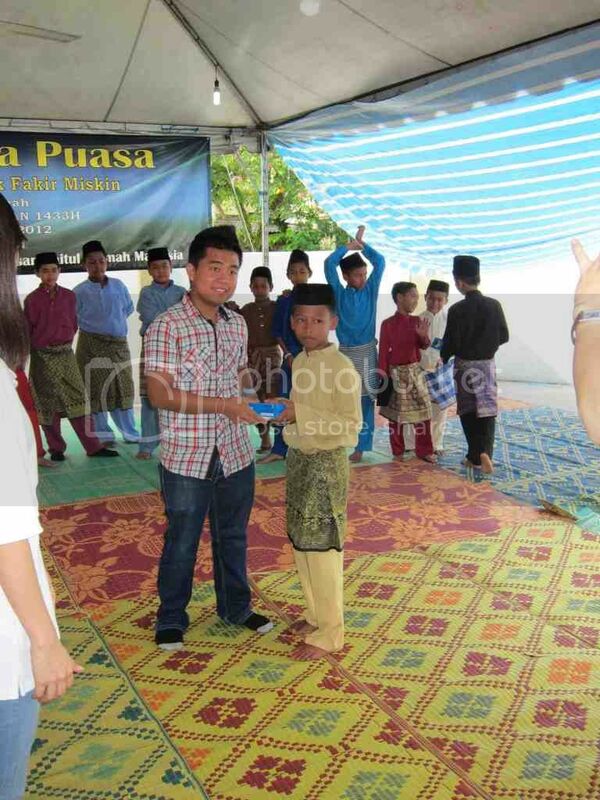 Asrama Baitul Ummah is a home for 50 Muslim orphans and abandoned children, aged from 7 to 17 years. 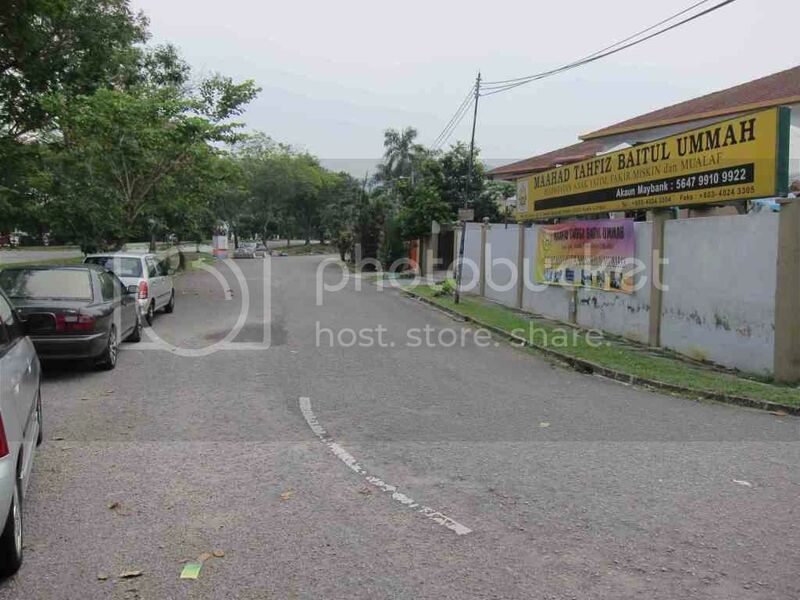 It was established by Ustaz Abdul Rahman Abdullah in 2002. In 2004, they moved to their current location, which is made up of three units of double storey houses. The home provides basic food, shelter and education to the children, with the support of 6 full-time staff. 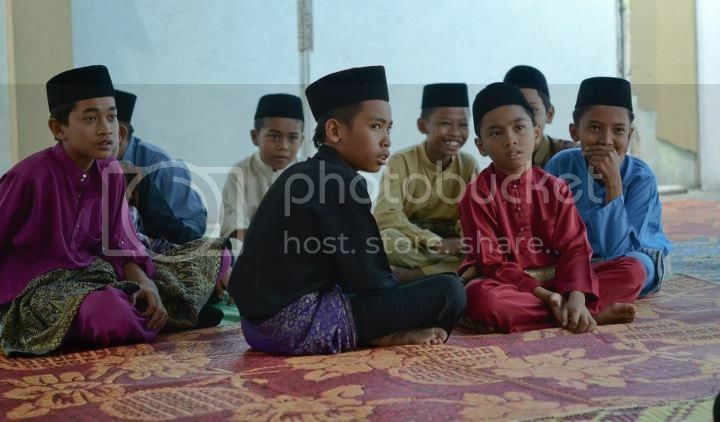 Most of the children stay in the home until they are 17 years old or after completing their SPM examination. Those who are able to study will continue their education at MARA colleges. The home provides the children an opportunity to make something out of their lives and have a brighter future. If you would like to contribute to any of the items below, please contact June at trccpenchala@gmail.com or 03-7784 9002. Alex Chan of Stone Empire Marketing S/B. Pencil case, 2 pencils, 1 eraser, 1 sharpener, 1 6-inch ruler. Packed food donated by Ong Keng Huat. For items #1 and #2, you may donate cash (any amount) by banking into our account. 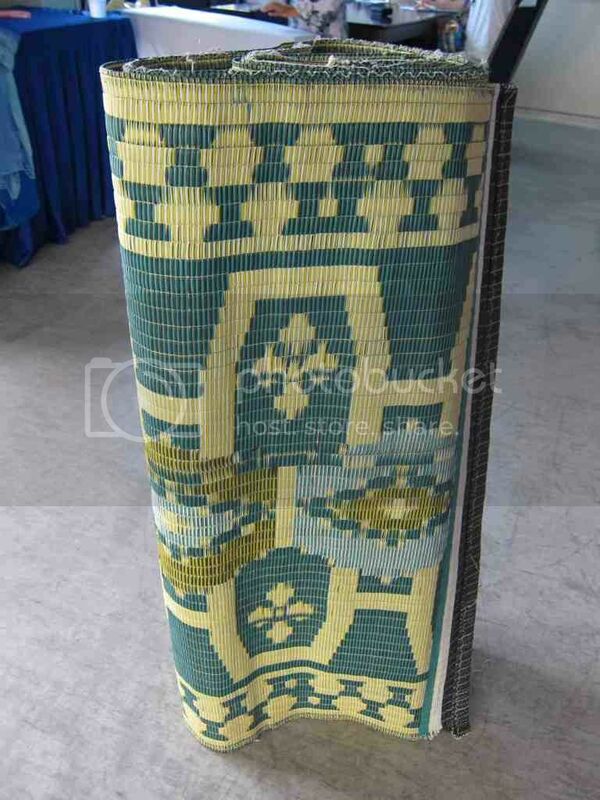 We would like to purchase the same type to be fair to all the children. Kindly email us at trccpenchala@gmail.com for more details. For all the other items, you may sponsor whatever quantities you wish. All items must be delivered to Ti-Ratana Penchala Centre by Thursday, 23 Aug 2012 at 5pm, to allow the committee sufficient time to pack the items. For logistic and security reasons, all volunteers who wish to participate are requested to pre-register your name and contact number with us by emailing trccpenchala@gmail.com. Please arrive at the Ti-Ratana Penchala Centre by 10.30am for a briefing. We shall convoy together to Asrama Baitul Ummah thereafter. No transportation will be provided, so kindly ensure you make your own arrangements if you wish to carpool with other volunteers to get to the Orphanage and back to the Centre. Let's do whatever little we can to help make this Hari Raya Puasa more fun and memorable for the children in Asrama Baitul Ummah.